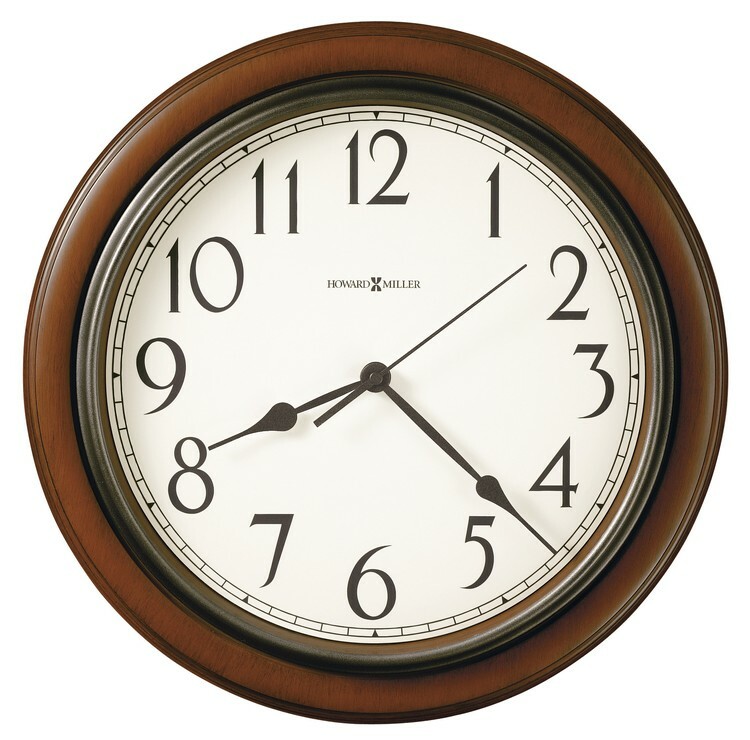 This 15-1/4" Howard Miller wall clock features a medium-brown cherry finished case with charcoal gray bezel. Dial is off-white with charcoal gray Arabic numerals and spade hands. Quartz, battery-operated movement requires 1 AA battery (not included).